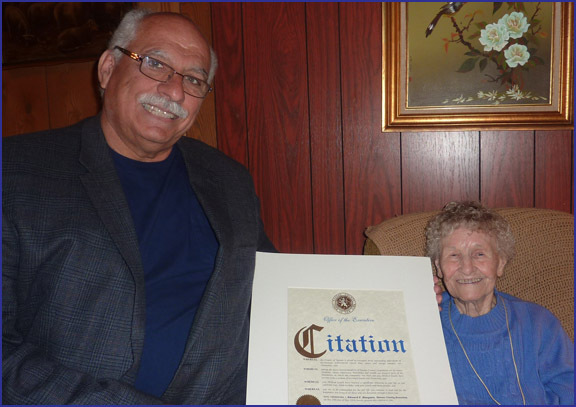 Mildred Gould of Westbury, a Meals on Wheels recipient, recently celebrated her 100th birthday! Pictured congratulating her is Nassau County Legislator, Dennis Dunne who was delighted to help Mildred celebrate this amazing milestone. EAC Network Meals on Wheels program and Legislator Dunne are proud to honor seniors like Mildred. Congratulations, Mildred!